Awesome course! I finally got to do what I am used to seeing on Instagram. 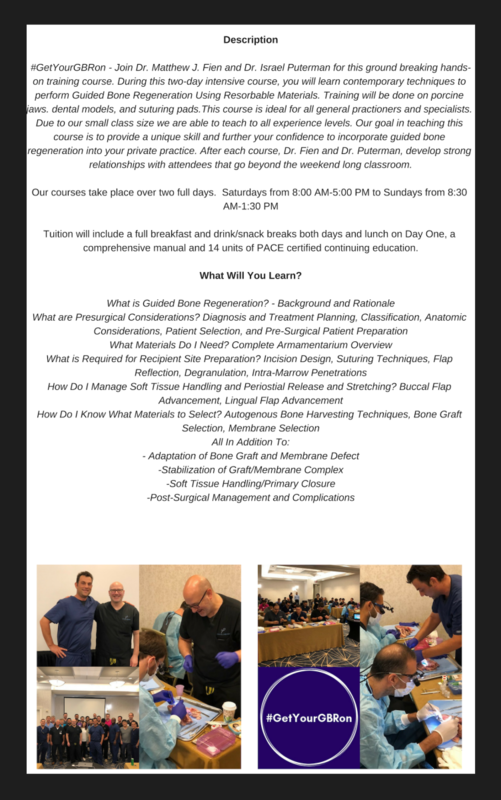 Great course from two very experienced clinicians! 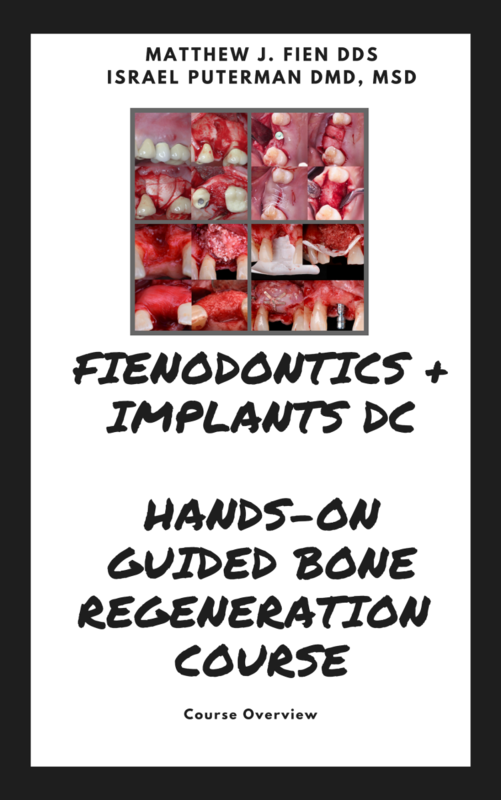 The Fienodontics + Implants DC Advanced Bone Grafting Course has changed the way I perform surgery. 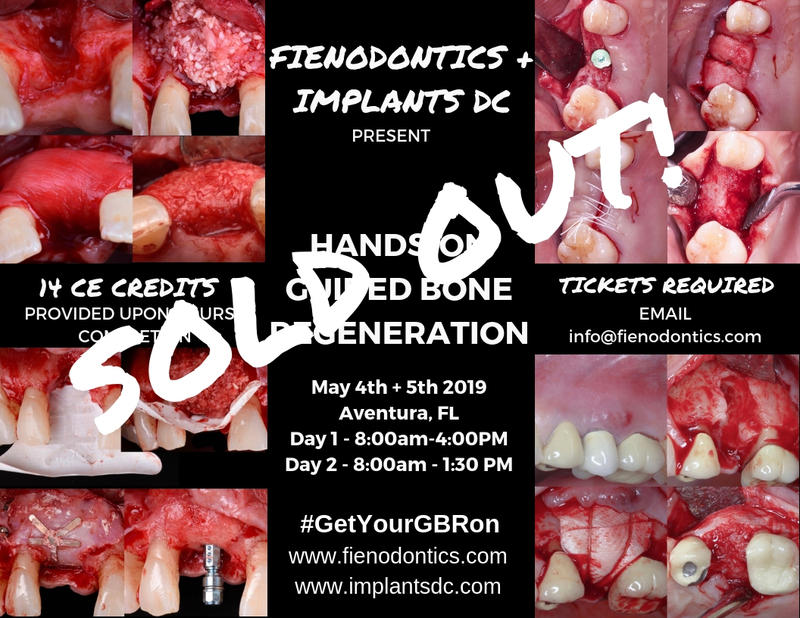 Dr. Fien and Dr. Puterman provided exceptionally detailed insight, but in a very simple and efficient way, making the content easy to integrate into your private practice. This course brought together a lot of concepts in a well organized fashion. The instructors were very honest concerning their successes and failures. The open dialogue made the course very enjoyable. Helped to build my confidence in providing predictable results with GBR! This has been by far the best and most practical course I have taken. Everything we practiced and learned can be implemented immediately into my practice. I can't wait to get started! He even gave me his personal phone number and checked in on me after surgery. He's a talented doctor, put me and my husband at ease, honest and kind. He even gave me his personal phone number and checked in on me after surgery. I've never had another doctor do such a thing. He earned my trust and fixed my teeth and I am forever grateful! I was referred to Dr. Fien for a complex gum/tooth issue after what seemed like an endless search. I was told by a peer that he was the foremost expert in the area to evaluate my case so I quickly made an appointment for a consultation. Having seen many doctors prior to this, most were quick to recommend a costly surgery, whereas Dr. Fien took a more conservative and knowledgeable approach to minimize discomfort and complications. He earned my trust and fixed my teeth and I am forever grateful! I would recommend Dr. Fien to my family and friends. Dr. Fien provided excellent dental care. He took the time to understand my issue and review the treatment scenarios. Further, he made me feel so relaxed and comfortable with his professional demeanor. After the procedure, he fielded questions. The final result was excellent. My teeth have never felt better. I would recommend Dr. Fien to my family and friends. Dr. Fien performed my crown lengthening surgery and completely improved my smile and self confidence! Dr. Fien performed my crown lengthening surgery and completely improved my smile and self confidence! He was very patient and thoroughly answered all of my questions and addressed my concerns. I had waited many years to make the commitment to correct my teeth, and after meeting with Dr. Fien and having my procedure I am so grateful that I did. A great experience with a great doctor. Thank you Dr. Fien! Highly recommend a visit if you need periodontal help! First, let me start by saying the thought of sitting in a dental chair makes me anxious. Unfortunately for me I required a complicated implant procedure that would take several visits - YIKES! Dr. Fien gave this worrier such thorough explanations about what to expect and performed a miracle by putting me at ease. Dr. Fien and his team were great throughout the process and my results are excellent - just buried the lead! Highly recommend a visit if you need periodontal help! Dr. Fien is an outstanding dentist and surgeon. Dr. Fien is an outstanding dentist and surgeon. He is an expert in his field and is patient, knowledgeable, accommodating and extremely professional. I have recommended him to friends and family who have thanked me for introducing them to such a wonderful dentist!